The recent news about FCC chief, Ajit Pai, planning to repeal Net Neutrality continues to dominate the technology landscape. We’ve previously covered the controversial topic extensively. This includes discussing the 2015 FCC ruling largely formalizing the Net Neutrality concepts in place since the Internet first reached critical mass. 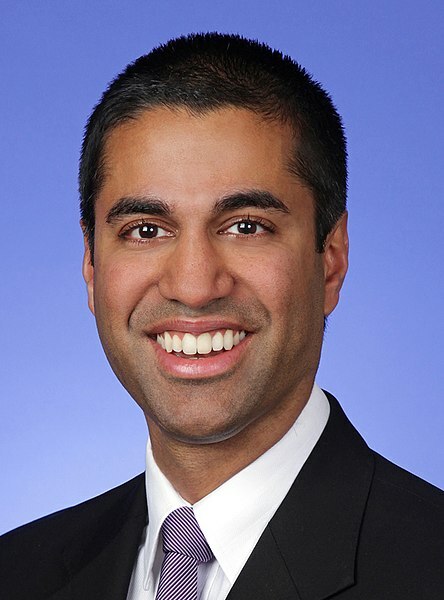 FCC Chairman, Ajit Pai. Photo courtesy Wikimedia Commons. Let’s take a closer look at the details of Pai’s new ruling while analyzing the effect on your Internet enjoyment. In short, you need to pay close attention to the news surrounding this important issue. Did Tom Wheeler’s 2015 Net Neutrality Ruling go too far? One of the main reasons behind Ajit Pai’s desire to repeal the 2015 Net Neutrality lies with the feeling the FCC, and then chief Tom Wheeler, just went too far. “Under my proposal, the federal government will stop micromanaging the internet,” said Pai in a statement to the press after detailing his repeal plans. He feels this removes a barrier to investment in new networks and other enhancements by the major ISPs. A December 14 vote on Pai’s proposal appears to be a mere formality based on the current FCC makeup. Three Republicans and two Democrats on the commission simply predict an approval of the repeal. Expect numerous legal challenges to the ruling once it goes into effect. The Internet Association, an industry group that includes Google and Amazon as members, plans on challenging the ruling. “Consumers have little choice in their ISP, and service providers should not be allowed to use this gatekeeper position at the point of connection to discriminate against websites and apps,” commented the group’s CEO Michael Beckerman. The biggest worry for many Internet users involves their ISP blocking or throttling bandwidth from certain websites. This issue grows in relevance as Internet companies continue to acquire content providers, like Comcast owning NBC. Pai’s bill requires ISPs to spell out their policies ahead of time regarding this kind of behavior. How does the New Net Neutrality Ruling affect your Internet Service? Don’t expect big changes to your Internet service once the new FCC ruling goes into effect. As noted earlier, expect legal challenges to abound. If anything, the ruling formalizes Internet providers using sponsored data caps and “zero-rating” services for streaming of content from an entity owned by the ISP. AT&T and DirecTV illustrate another example of this kind of relationship. These policies likely benefit some consumers, especially those who bundle digital services. As always, pay close attention to the quality of your Internet service. Perform regular speed tests to ensure you receive all the bandwidth you deserve!